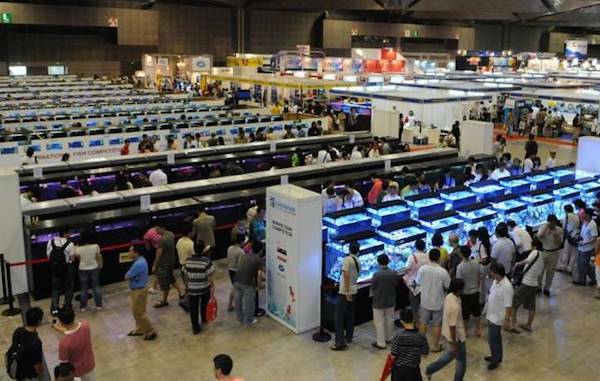 Aquarama, a major aquatics industry expo held biennially in Singapore, has recently announced a move intended to foster closer ties between industry members and those in public aquaria. 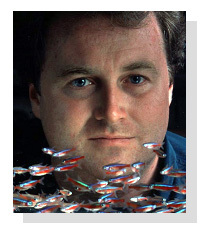 Scott Dowd, an aquarist at the New England Aquarium and a leader of Project Piaba. This initiative has been led by a committee of public aquarists working in conjunction with the organizers of Aquarama, and reflects a general trend towards increased ties between the aquarium livestock trade, aquatics manufacturers, and those in the public aquarium sector. Of particular interest in the press release is the announcement of a new initiative being launched by the IUCN’s FFSG (Freshwater Fish Specialist Group) to showcase ways in which managed wild aquarium fisheries can help drive conservation of key ecosystems and species. This project, led by FFSG member Scott Dowd, seeks to bring together researchers, public aquaria, and the ornamental fish industry to promote the potential conservation outcomes of the aquarium hobby and educate consumers (through exhibits at partnering AZA institutions) on sustainable purchasing decisions. The facilitated discussion at Aquarama will focus on this initiative and gather input from all of the major stakeholder groups in order to produce a “road map” of how to move forward. Historically, public aquaria and the ornamental fish industry have often been at odds–viewing one another with suspicion if not outright antagonism. In recent years, a more conciliatory and collaborative approach (on both sides) has helped improve relations between the two industries substantially. Forward thinking members of both industries, and joint initiatives like Project Piaba (also led by Scott Dowd), have helped pave the way for more mutual trust between these two groups which share a number of common goals. There is certain to be much debate and at times heated discussion as this collaboration progresses, but it is encouraging nevertheless to see the organizers of Aquarama—in an unprecedented move—bring members of both industries together for a unique public/private aquarium hybrid event.